Aside from the incredible food and dining experience, I had the chance to ask Michael some questions about his background, his cooking philosophy and importantly to all of us, his views on wine. “Schwartz’s culinary innovation puts him at the forefront of the farm-to-table movement. He’s now on a national stage, based primarily on his straightforward, ingredient-driven cuisine, as well as his commitment to supporting local farmers and responsible, seasonal food sourcing. J. Smoke Wallin (JSW): What got you into cooking? Michael Schwartz (MS): Well I grew up in Philadelphia in the ’60s and ’70s. The closest I came to cooking as a kid was cutting up the Stroehmannwhite bread for stuffing at Thanksgiving dinner!! My mom didn’t make much from scratch… Things changed when I was 15 and I got a job bussing tables at Dilullo’s, a Northern Italian restaurant in Philadelphia. The place was ahead of its time and really swanky, importing expensive, high quality ingredients from Italy. After about a year, I had worked my way into the back of the house. JSW: What has been the greatest thing about starting Michael’s Genuine? MS: Meeting great people and doing great things with them. JSW: When you decided to open another restaurant, why Grand Cayman? MS: Well it was less of me deciding it was time to open another MGFD than realizing we could when DART approached me. I have to admit I was a little skeptical at first. I didn’t think it was possible to replicate the experience of the restaurant, which has so much to do with the process – the responsible sourcing that is so important to who we are. But I went down there and met with them, and liked who I met and what I saw. There was an emerging farming community poised to embrace a restaurant like ours and we’ve just been learning and growing with each other. It’s really great. We’re getting great variety of local product down there, even this past summer – thai eggplant, callaloo, herbs, peppers, amazing mangos, and local pumpkins… Of course there are things we need to bring in, but we’ve been pleasantly surprised. JSW: What made you want to write your book? MS: I’ve always wanted to do a book. Again it was all about timing and relationships. Some executives from Clarkson Potter were in town and ate with us and said they wanted to publish my first book. I pulled together a proposal and two years later, we have MICHAEL’S GENUINE FOOD: Down-to-Earth Cooking for People Who Love to Eat. I’m really proud of the work we did to pull it together – I got to work with some pretty talented people, like my photographer Ben Fink. The photos are beautiful and really capture what the dishes are all about – simple preparations using really fresh product. JSW: What is your wine philosophy at Michael’s? MS: Our philosophy is just like food. It starts with the best producers and great product. I’m very lucky to have a sommelier like Eric Larkee. He’s always one step ahead of the game. We’re able to keep prices very reasonable and offer a creative, yet edited list. I’m lucky to have talented friends like Dennis Scholl and Richard Betts with the Betts & Scholl label… Jim Clendendon of Au Bon Climat..The list goes on… We’re of course trying to always to be responsible in every aspect of the business… So I know Eric gravitates towards producers that are using natural methods… and we recycle our corks and bottles (for water service) whenever possible. I’m looking into glass cutters right now so we can recycle the bottles for drinks glasses too. JSW: Describe the perfect meal. MS: One with my family, cooking food from our friends. JSW: What’s best about being Michael? MS: What kind of question is that?! I would say I’m lucky for the people I’m surrounded by, so that’s what’s best. JSW: what has been your biggest challenge? MS: Spending as much time with my family as I do with my other family at work. JSW: What can we expect when we buy your book? MS: Well it’s definitely a Michael’s Genuine Food & Drink greatest hits to a certain degree, which is what I wanted out of a first book. It’s divided similar to how our menu is set up, with a bunch of the dishes that we know and love, and some new things too. I think what I’m most happy about is that the book really works. So many times, especially with recipes you find on the internet, nothing works. My compulsive organization really worked to my advantage on this one! JSW: When can we get you out to the Bay area and up to Napa to enjoy some wine and share your book and story with our friends? 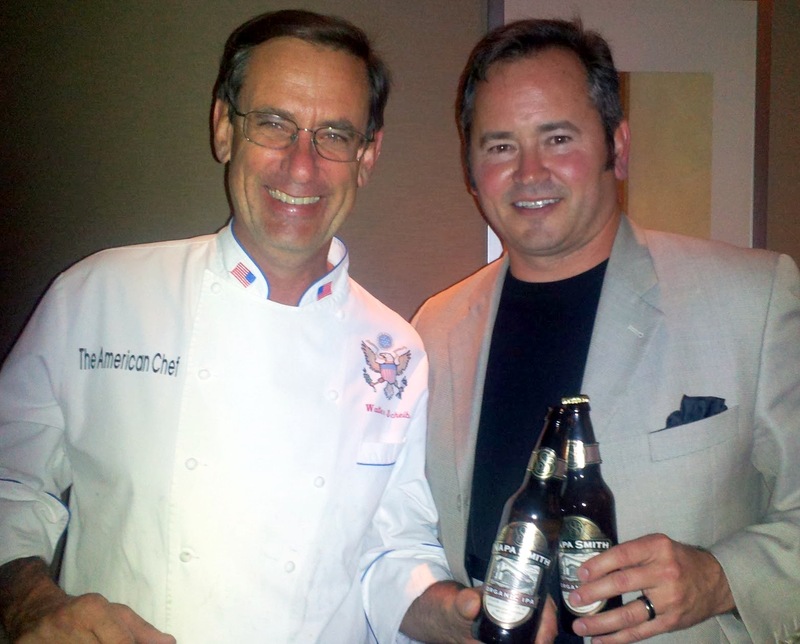 I had the great pleasure of having a grand dinner with with former White House executive chef, Walter Scheib. In October a bunch of YPO/WPO members of the Food & Beverage Network and the Beer, Wine & Spirits Network (I chair) got together in Chicago for 3 days of learning and networking. It was a fantastic event, with best of the best resources, speakers, and activities. One highlight was our evening with Walter Scheib. 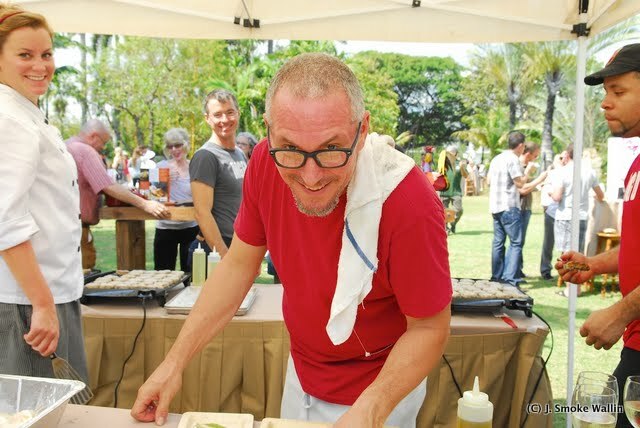 Here is a little background on Walter from his website The American Chef. Walter Scheib has quite a story to tell. In fact, he has two stories to tell. The first involves the rise of an American chef to the most storied position in the land. The second offers an intimate, human view of two First Families, the corridors of political power, international personalities, and the most famous building in the United States, from a unique vantage point: The kitchen. In April 1994, after a lengthy application and screening process, Walter Scheib became the chef to America’s chief executive and the First Family. First Lady Hillary Clinton, impressed by the comprehensive spa menu Scheib had developed for the Greenbrier resort, as well as his highlighting of American cuisine, personally hired Scheib. For 11 years, he prepared everything from simple family meals to elaborate and formal State Dinners. His culinary creations dazzled and delighted White House guests including Nelson Mandela, Emperor Aikihito, Jacques Chirac, Boris Yeltsin, Vaclav Havel, Lady Diana Spencer, Tony Blair, Vicente Fox, and others, not to mention the thousands of congressional members, journalists, and other House visitors who got to know his food. Chef Scheib was very personable and probably the coolest part of the our evening together was all the interesting stories from his days in the White House for both President Clinton and Bush. There were many funny ones. The meal was excellent and creative. Menu at right. Jay Wright the EVP and COO of Constellation Wines hosted our reception with a fun tasting of some of their wines from around the world. 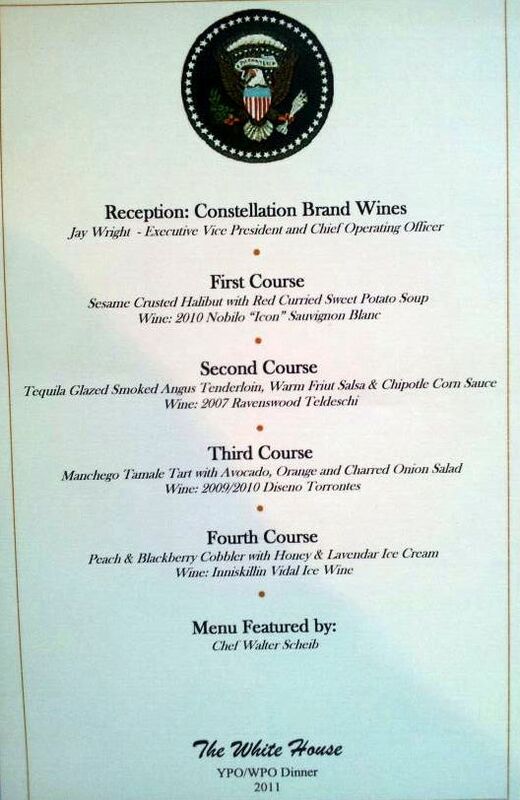 Constellation Wine worked with Chef on the pairings. I was not a fan of everything, but it was a great experience. My favorite dish was the first course – Seasame crusted Halibut with Red Curried Sweet Potato Soup. This was paired with the 2010 Nobilo “Icon” Sauvignon Blanc. Nice. The best part was hanging out with Chef afterwards. 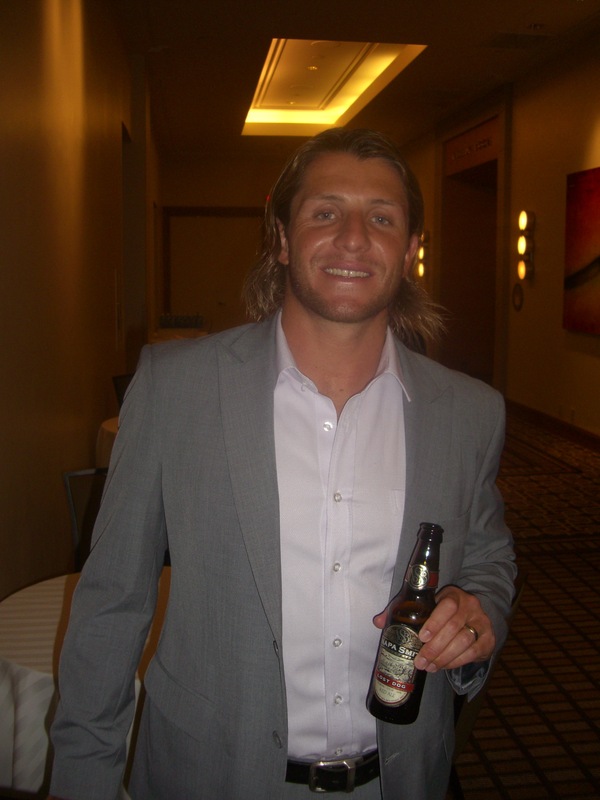 He joined us at our “afterparty” that I hosted with 3 Amigos Tequila and Napa Smith Brewery. 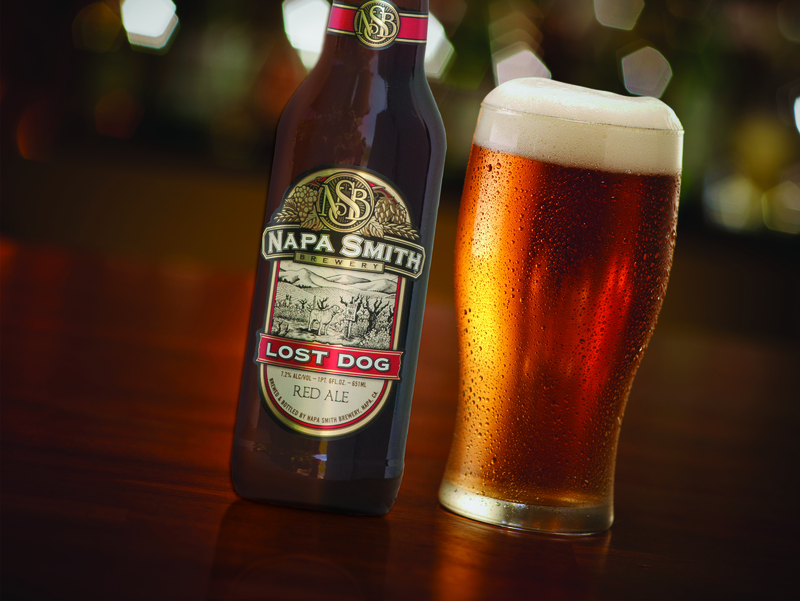 We enjoyed a Napa Smith Organic IPA together and chatted about his current business, travels and great food. 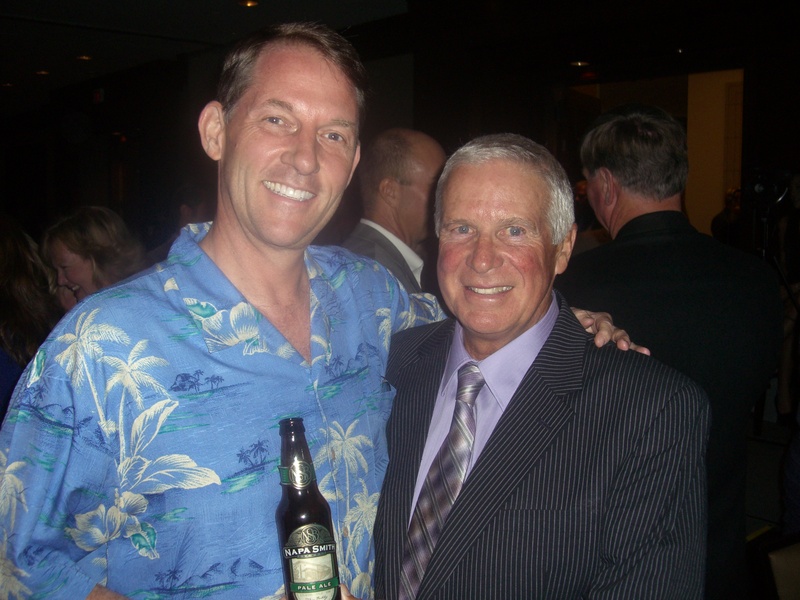 He is a big fan of great beer and agreed with my contention that a beer dinner is easier to create than a wine dinner as beer actually can accompany more foods in a more complimentary way. Don’t get me wrong, I love wine, but we are seeing more and more of this kind of thinking. Its great to get confirmation from a talented chef like Watler Scheib. 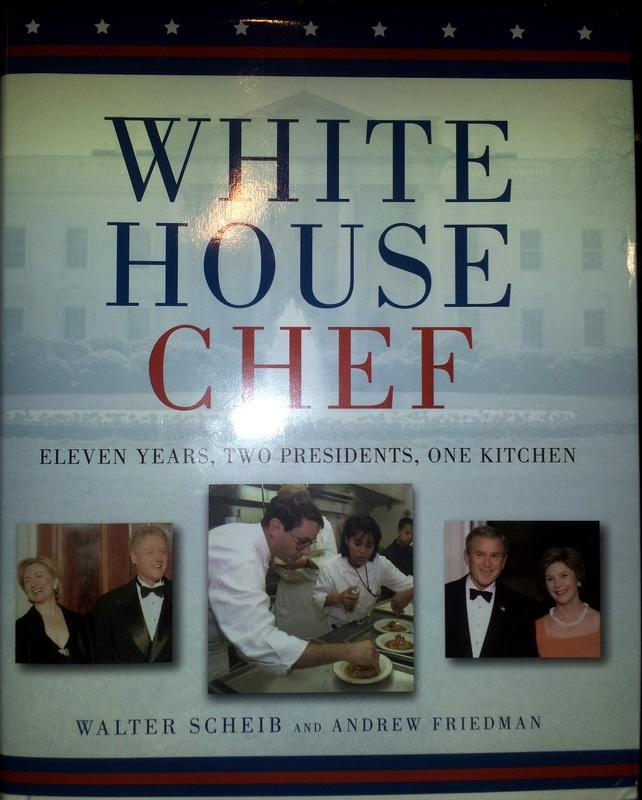 Chef Scheib’s book is called “White House Chef”. It is far more than a cook book. It is an interesting look into life inside the White House. June 24, 2011, Napa, CA – The Wine Industry Technology Symposium® WITS®, the premier event showcasing innovation and strategic use of information technology and services for the wine industry, has announced two key panels on three-tier trade sales and marketing discussions this year at the seventh annual conference July 12-13, 2011 at the Marriott Napa Valley. The Trade Sales & Marketing panels begin with a candid overview on how wineries, distributors, and retailers can collaborate better. Stephen R. Arens, Director, Industry Engagement, GS1 US. 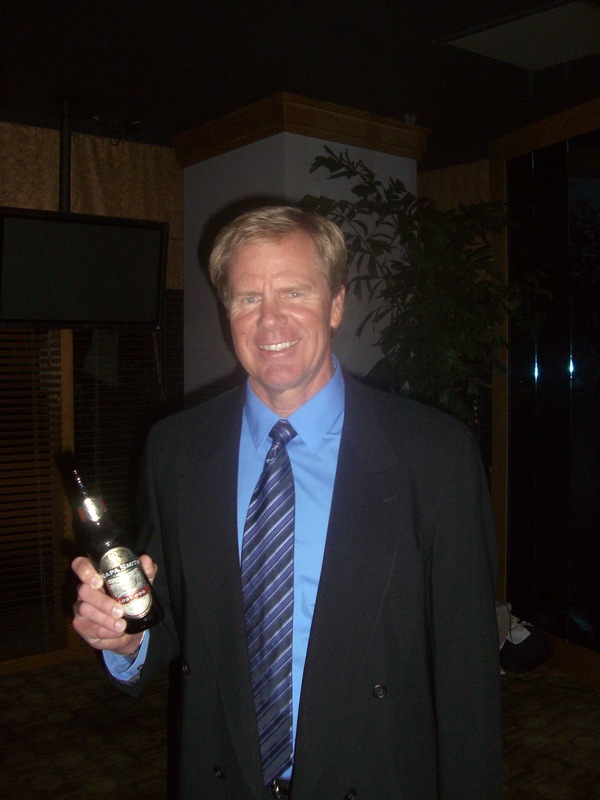 Moderator will be John Collins CEO, Great Vines. The second interactive panel will discuss the use of the latest in market tools, best practices and case stories from the field. It will have an informative overview of iPad use throughout the world of wine as well as an in-depth look at how Jordan uses the iPad in their sales and winery operations. Panelists include: Lisa Mattson, Director of Communications, Jordan Vineyard and Winery and Cathy Huyghe, Founder, Red White Boston with Heather Crawford, Director of IT, Amy’s Kitchen as moderator. Both panels promise to have a lively discussion between retailer, distributor and winery as well as the attendees. WITS focus on “take home value” will be front and center as these panels include live examples and integration with the attendees. “When I was a distributor and was Chairman of WSWA, we spent many years discussing supply chain integration and industry standards working with the ABI-EC and later GS1. Later as a technology CEO, I worked hard to bring tools to the industry to accomplish some of the goals we had established. Today as a supplier to the industry in wine, spirits and beer, I continue to work with all three theirs to encourage adoptions of standards and further collaboration. These panels are near and dear to my experience and I believe everyone who has an interest in these topics will benefit from them.” said Smoke Wallin, WITS co-chair. For more information on speakers and topics, visit www.WineIndustryTechnologySymposium.com. Registrations are now being accepted online. Hey all you race fans and all you tequila fans…. 3 Amigos is proud to announce our partnership with Michigan International Speedway! Check it out! Hope to see you at the Race this weekend! BROOKLYN, Mich. (June 15, 2011) — It’s signed and official! Michigan International Speedway officials announced a partnership with 3 Amigos Tequila today. 3 Amigos Tequila will be the “Official Tequila of MIS” beginning with this weekend’s NASCAR Sprint Cup Series Heluva Good! Sour Cream Dips 400 race weekend. NASCAR Sprint Cup Series tickets for the Heluva Good! Sour Cream Dips 400 on Sunday and the NSCS 400 on August 21, both weekends featuring 3 Amigos Tequila, are now on sale and as low as $30. Visit MISpeedway.com or call the MIS ticket hotline at 800-354-1010 today to take advantage of great pricing for 2011 events at MIS. Tequila 3 Amigos is made by the Gonzalez family. 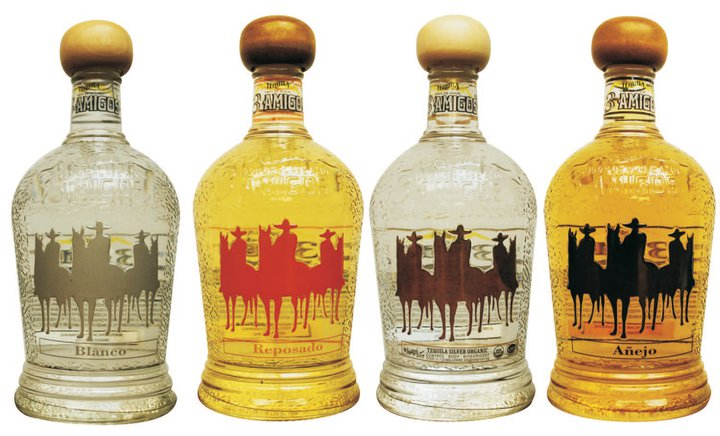 3 Amigos Tequila is grown and made in Tepatitlan, Jalisco, Mexico, located in the highlands of the state of Jalisco. Los Altos red rich soil, and high incline land produces the finest Weber Blue Agave. 3 Amigos Tequila is a young company with deep roots going back generations of growing blue agave for some of the finest tequila companies. 3 Amigos tequila is now rolling out around the US and will be available in your market soon. Visit us online at http://3amigostequila.com/html/casa.html or join us on Facebook at http://www.facebook.com/pages/3-Amigos-Tequila/94710159983 where we will continue to update availability. Thursday, June 16 Race Fest in Downtown Brooklyn – 1:00 p.m.–10:00 p.m.
Sunday, Sept. 11 Spirit of America Blood Drive – 10th Anniversary!